Published on February 20, 2014 in Fun, Internet Jokes, SEO and Traffic. 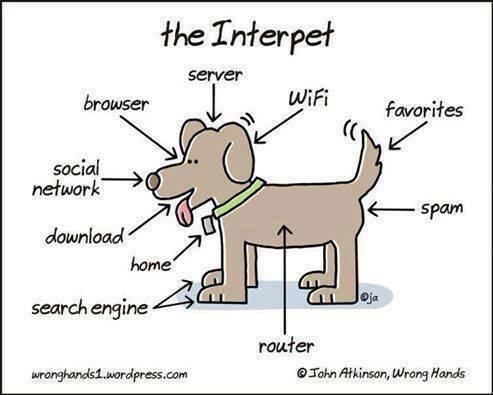 1 Comment Tags: Interpet - Dog Internet. That is hilarious. Although I would have made the nose the search engine. Spam is in exactly the right place.